On Monday in Olsztyn’s Castle in Copernicus Hall we met the winners of the voting poll for the “Wielkie Serce” (“Big Heart” Award). The list of candidates for this title had more than 240 names. The voting poll lasted until November 7 and was conducted in all districts in the region. We met the winners of the competition for the most popular hospital, most popular clinics, the most popular family doctor, the most popular surgeon, the most popular gynecologist, the most popular ophthalmologist, the most popular dentist, most popular nurse and midwife in voivodeship of Warmia and Mazury in 2016. 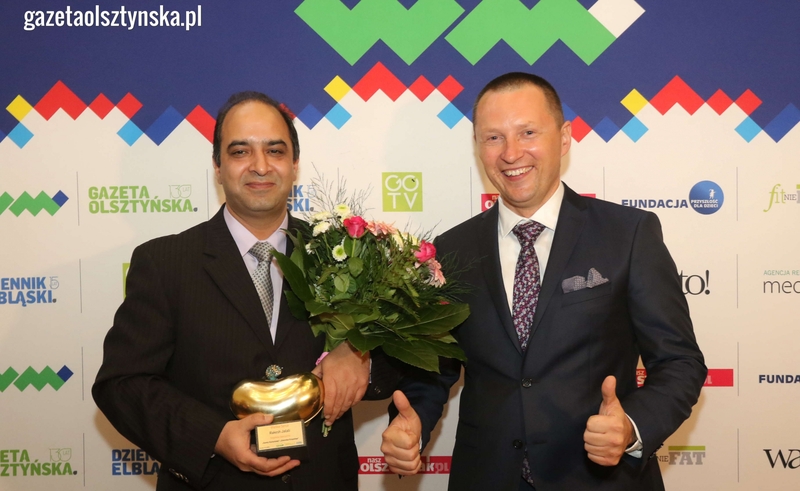 Chapter of the voting poll at the meeting decided to give a special distinction for the sense of mission and dedication to Dr. Rakesh Jalali, M.D., Ph.D., coordinator of Hospital’s Emergency Department in the Regional Specialist Hospital in Olsztyn.